Xeriscape: Resources to beautify ith appropriate plants. Sunset has been the recognized authority among western gardeners for more than 100 years! This completely revised edition of the popular Western Garden Book includes more than 2,000 new plant entries, all new four-color plant illustrations, improved climate zone information for the Western states and new maps for Alaska, Hawaii, and southwest Canada. The book is brimming with full-color photos and practical tips for successful Western gardening from Sunset gardening editors. This title also features information on the latest gardening tools and gear. 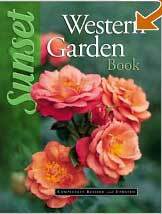 The Western Garden Book presents hundreds of pages full of gardening wisdom from the editors of Sunset magazine. This huge book appeals to western climate gardening enthusiasts, bringing them tips, advice, and information on the latest gardening tools and gear. This revised edition is a welcome update to the reference book that has served the needs of Western gardeners for over 50 years. In xeriscaping, plants are grouped into three specific zones based upon the water needs of the plants and the distance from the central area. Zoning creates a water-efficient landscape that is both beautiful, functional, and sustainable. The physical characteristics of the site should be considered. Every yard has a "micro-climate" which could affect the design and plant choices. Sunny west and south sides of a house will have a warmer micro-climates and are more suited for arid, drought-tolerant plants. The cooler north and east sides could be used for oasis zones. The arid zone will have the most drought-tolerant plants. Native plants and other varieties are used and rarely require supplemental watering. The most arid zones are located away from the house and high-traffic areas and could be left in its natural state or interplanted with drought resistent native varieties. The transition zone combines lush areas with the drier parts of a landscape. This zone takes advantage of low and moderate water use plantings that need infrequent supplemental watering (once a week or less). A path could wind through this area, creating interest and access. The lush, oasis zone should be nearer to your house, and could include the higher water use plants, a small pool of water, a formal area, paths from porches lined with solar lanterns, shade from pergolas, and a small lawn area using drought-tolerant grasses like buffalograss and blue grama. This zone could take advantage of rainfall runoff from the roof line and gutter downspouts.